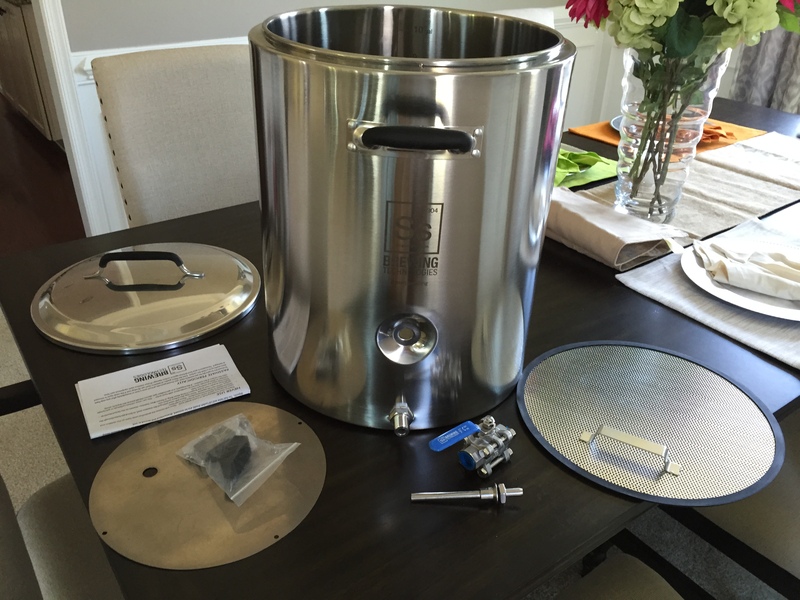 A Few months ago Ss Brewing Technologies announced a new product design that pushed the bounds for home brewers, the InfuSsion Mash Tun. 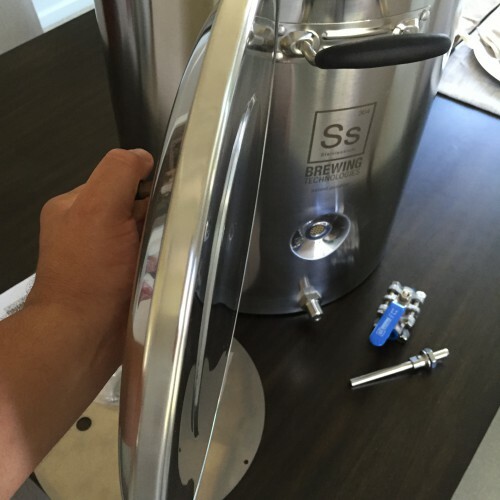 These 10 gallon double wall stainless steel insulated mash tuns are finally on their way to their new owners and we got the First Look! 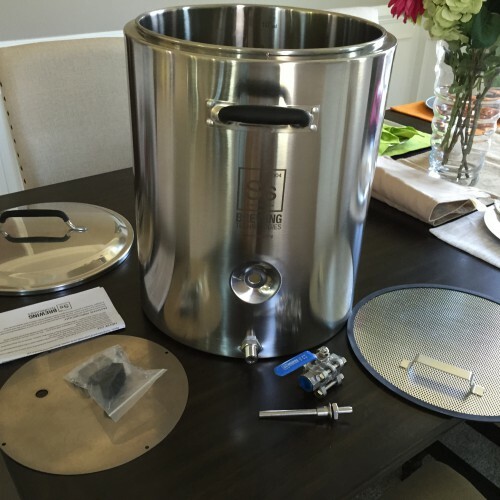 By now you guys already know all the features of this baby, if not take a look at these previous posts by us (InfuSsion Mash Tun , InfuSsion Mash Tun Shipping Soon). 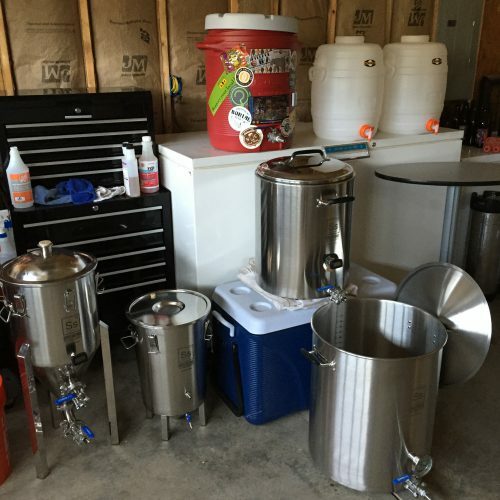 So lets just jump forward to what it is you guys really want to see, pictures and it used in a brew day! First lets talk about whats inside the box when it shows up on your doorstep. Opening the box the first thing shinning right in your face is this massive insulated lid. Wait to you pick this thing up out of the box and you will realize that this thing means business. Under the lid and a some foam you will get to the mash tun. I wont spoil the moment for you but just take a minute to look at the craftsmanship and its beauty. 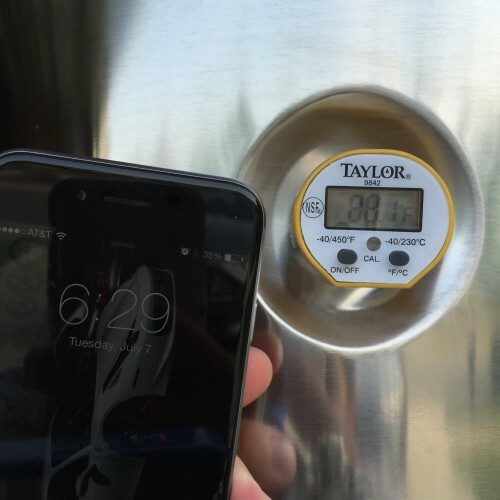 Packaged on the side of the mash tun is the hardware, a weldless thermowell, a high temp digital temp display and a 3pc ball valve. Under the mash tun is the false bottom with gasket. There are some key features though I really do want to point out because they definitely exceeded my expectations. First, the obvious, 1 gal volume markers from the bottom to top. Huge feature even though its such a small detail. Next, the thickness of insulation between the walls, no skimping here. 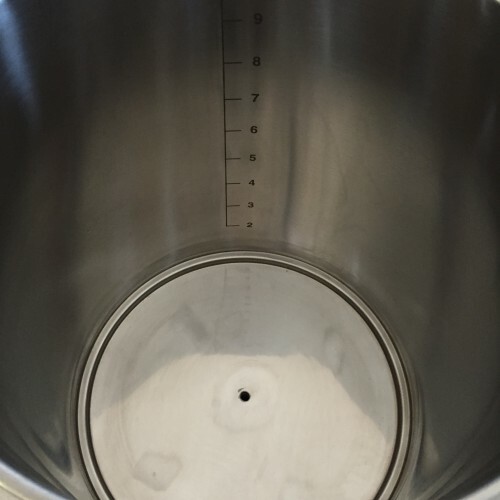 The conical bottom, I was expecting a real drastic angle but what Ss Brew Tech provided is perfection. Just enough to fulled the wort to the center drain and shallow enough to allow maximum contact of water to grist. Lastly the false bottom and gasket. I love the flat false bottom design as opposed to the dome shaped ones (personal preference) and the handle that is welded on is beefy. You know thats not going to break. 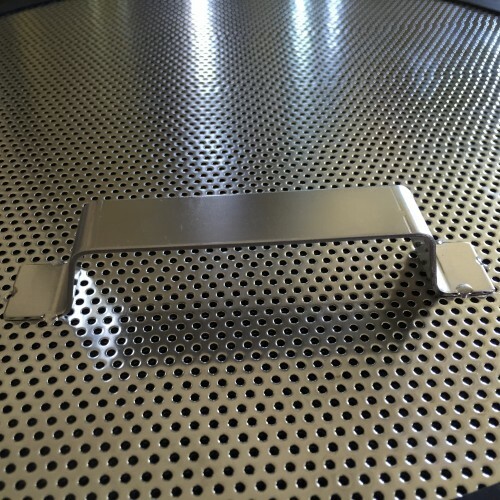 Also the holes in the false bottom are nice and fine compared to the cooler false bottoms. The gasket is really what seals the deal (pun intended). 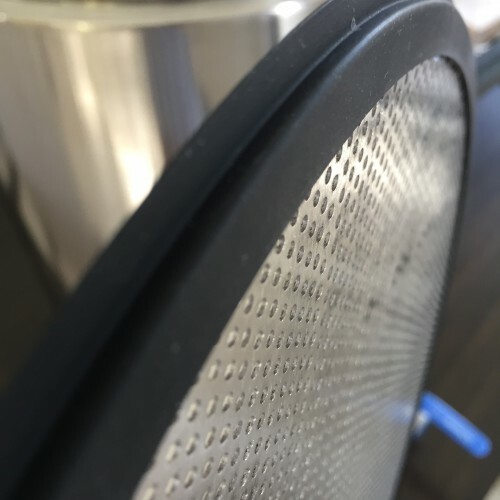 The design gets the false bottom to seal nice and tight to the wall of the mash tun where nothing is getting through and forcing all water to run through the grain. 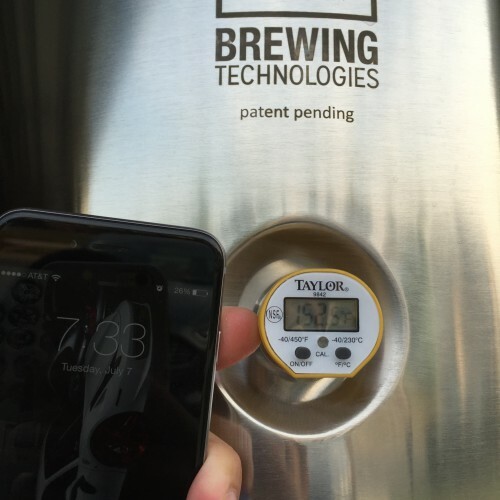 Ss Brew Tech really delivered on what they promised these features to be. I wanted to test out the heat retention first and let the numbers speak for themselves. 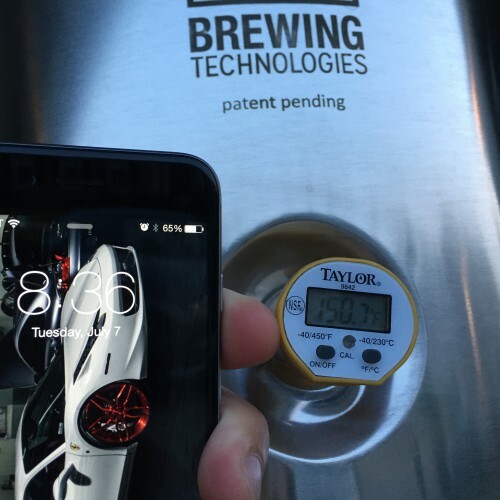 So I filled up the InfuSsion Mash Tun with 8 gal of heated water and let it sit taking temp measurements every 30 minutes. Here are the results of the test. Ambient Temp was 88.1F and after letting the therm stabalize the starting temperature was 154.2F. 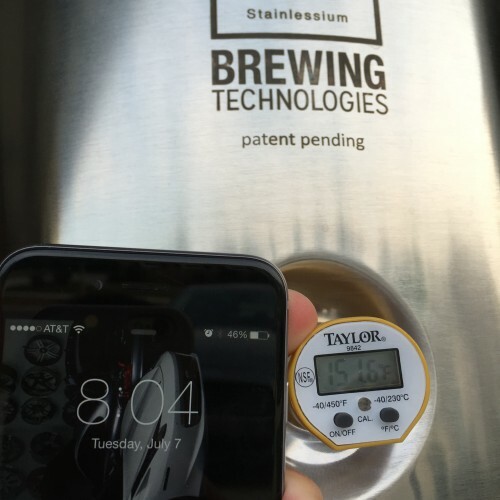 Measurements were taken at 30min, 60min, 90min and 120min to cover all lengths of mash. The temperatures were 153.3F, 152.5F, 151.6F and 150.7F respectively. So we saw a drop of 1.7F in 60min! These are actually really great numbers and keep in mind that this is a test with only water. I expect to see better heat retention when there is an grist in the tun. 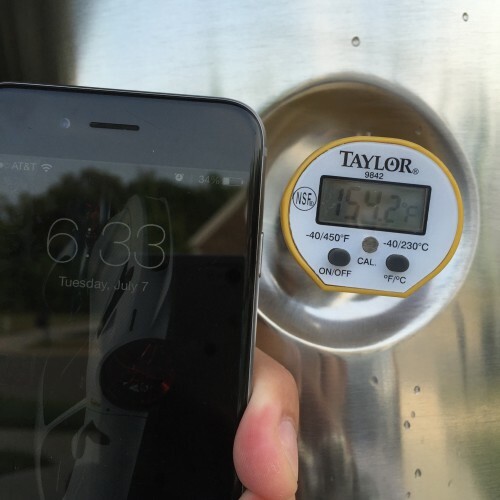 I included photos of the Times and Temperatures below in the slideshow. On to the brew day. 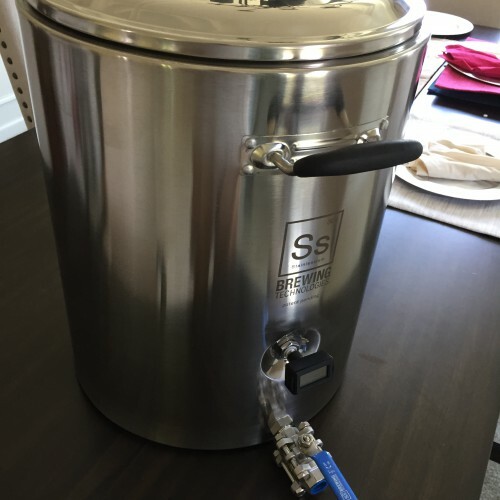 I decided that I was going to brew a 12gal batch of my Berliner Weisse to test out the mash tun. 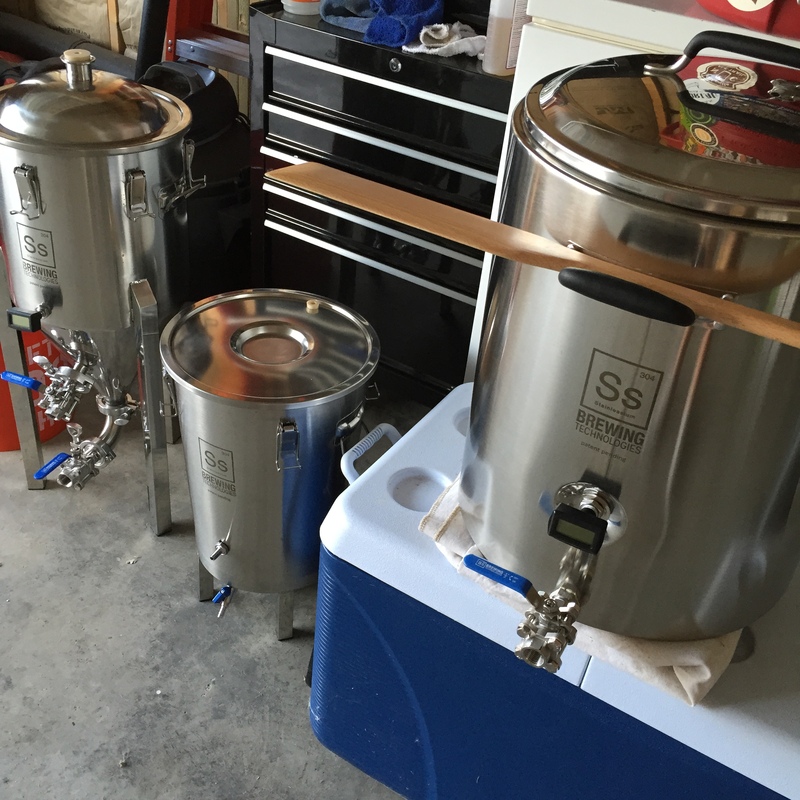 13lbs of grain with 6gal of water filled the mash tun up to around the 8gal mark. My mash schedule was 156F for 90min. Temp readings were taken every 30min as were as follows. 0min 156F, 30min 156F, 60min 156F and 90min 155.9F. Only 0.1F drop in temp over a 90min mash! That’s damn good heat retention. 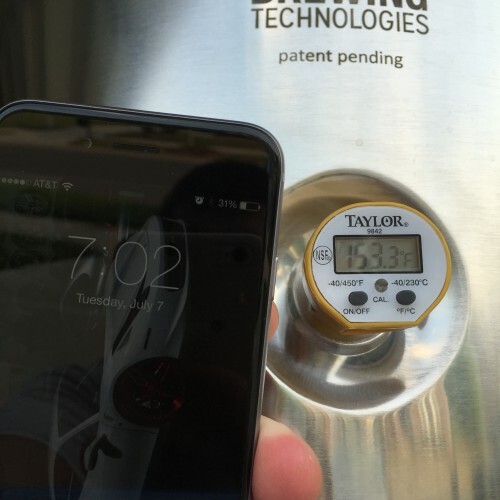 Best part about it was that I didn’t need to open the top to take a temp reading. The LCD therm was right there on the front. Nice and easy to read and monitor. 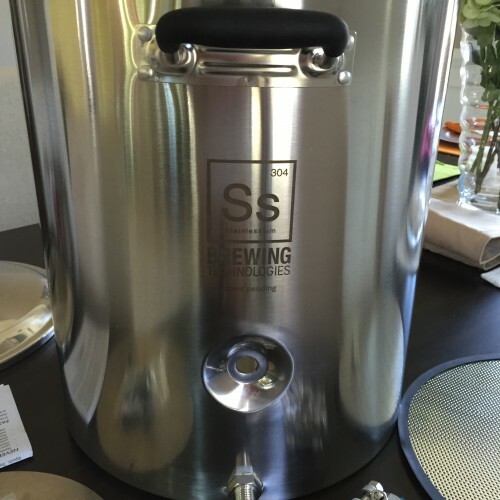 Just a note, the heat retention really seemed rock solid but I want to get a few brews through it before I jump to any conclusions. Next came the vorlauf of approx 3gal. I was extremely impressed with the flow rate through the bottom drain. After about 1-1.5 gallons the bed had set nicely and the wort was nice and clear. In my previous batches using my cooler mash tun it took 3 gallons before it started getting clear. 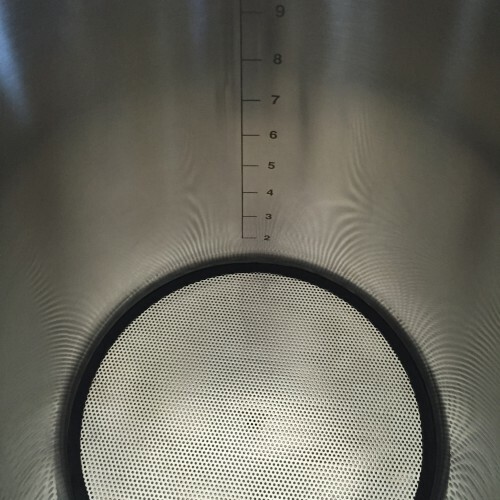 The finer holes in the mash tun really helped improve the clarity I believe. Next was the sparge of approx 9 gal over 60min for a total of 12gal. Not one hiccup through the entire mash. Flow rate stayed constant through the continuous Gravity sparge and I yielded an 88% efficiency. My normal efficiency is around 70-73%. Cleanup was an absolute breeze. After pulling the spent grains it was as easy as spraying to down with a hose. The ability to pull the false bottom out with ease using the handle makes clean up a whole lot easier then having to try to spray under the dome false bottom of the cooler and having grain stuck under there. 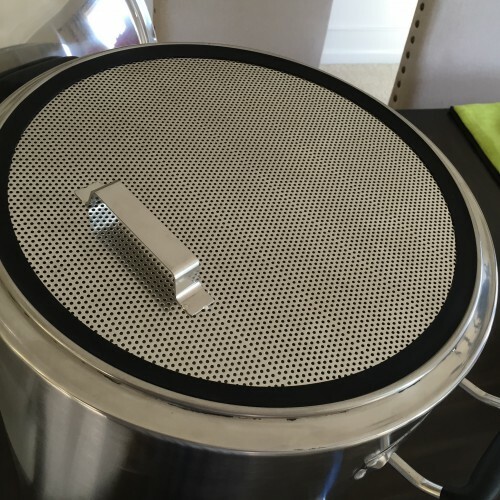 With the false bottom out you can easily spray it down and get any stuck grain out. The tun with a quick spray and wipe down was nice and clean. And with the conical bottom and center drain I just left the ball valve open and let all the water just run out. I didn’t have to worry about having some water left over in the bottom and potentially growing mold. Overall I am highly impressed with the SsBrewTech InfuSsion Mash Tun. Honestly I’m more impressed then I thought I would be. The design and attention to detail really shined through with this product. The heat retention was better then my cooler tun which yielded a higher efficiency. The conical bottom and center drain left no dead space and no waste. 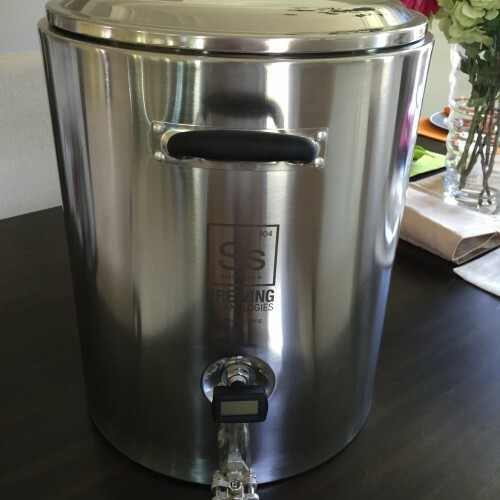 And all the small details which make a difference like the tight seal on the false bottom, LCD thermometer, gallon volume markings to the bottom and the removable mash tun really pushed this peice of equipment over the top for me. I am excited to test the sparge arm when it releases in a couple weeks but I am overly excited about the heating element connected to the FTS. 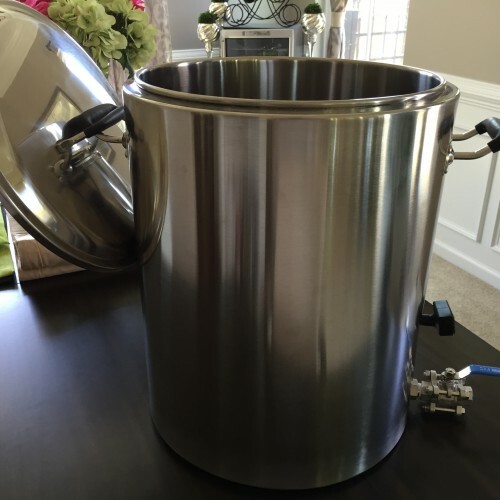 With this awesome addition I will be able to hold temps for sour mash or kettle souring! As always SsBrewTech nailed it.